Italy signaled its intention to loosen the military’s grip on the cultivation of medical marijuana, significantly ramp up production and make MMJ “available in all pharmacies” across the country. The move also could increase opportunities for international MMJ companies participating in the nation’s medical cannabis industry. Italian Health Minister Giulia Grillo made the announcement in a Facebook post after touring the Military Pharmaceutical Chemical Plant, which is the only licensed cultivator in the country. 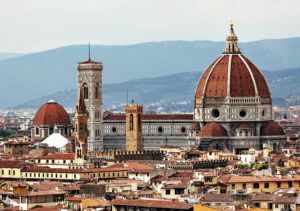 “The Italian authorities appear to realize that the government alone is not in a position to satisfy the quickly growing demand for medical cannabis in the country,” said Pavel Pachta, a consultant with International Cannabis and Cannabinoids Institute. Doctors in Italy have been able to prescribe marijuana since 2007. However, the country has suffered a medical cannabis shortage for years, stemming from having just one domestic producer and a limited number of import licensees. A government report provided to Marijuana Business Daily pegs near-term demand at 2,000 kilograms (4,409 pounds), as the country is seeing an increase in cannabis prescriptions; military production tops out at about 250 kilograms per year. If the government follows through with the plan to explore public-private partnerships, interest from international companies will be high. Earlier this year, two Canada-based companies turned to acquisitions and supply agreements to enter the Italian market. Toronto-based Nuuvera – now a subsidiary of Aphria – acquired one of only seven companies in Italy with a license to import medical cannabis. The German subsidiary of Alberta-based Aurora Cannabis, Pedanios, won an exclusive tender to supply 100 kilograms of medical marijuana to the Italian government. Spectrum Cannabis, the European subsidiary of Canopy Growth (TSE: WEED), was also a finalist for the contract.